This post is brought to you by Belo Essentials. I'm in the middle of using the Belo Intensive Whitening line and this will be a mini review. It's mini because I've only been using it for two weeks. It takes the skin about 4-8 weeks before it renews itself so two weeks of using the Belo soap, face cream and body lotion isn't enough yet. And yet I'll tell you a bit about it anyway! I wanted to use Belo Intensive Whitening line because I have a lot of acne scars and sun spots. I'm always looking for a way to brighten (not whiten) my already fair skin, but—believe it or not!—I've never actually tried any! Mas malaking problem kasi sa akin before ang pag-manage ng acne ko. But now that my hormones have finally (knock on wood!) calmed down, I can see that the pimples have left dark spots all over my face. My three pregnancies have also left my body with pigmentation. In short, hindi na ako iisang kulay. I'm marbled. 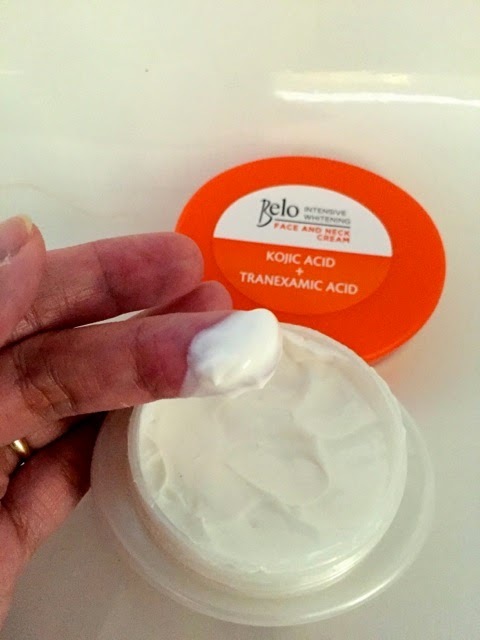 Belo's whitening line has two ingredients that will address my concerns: kojic acid and tranexamic acid. 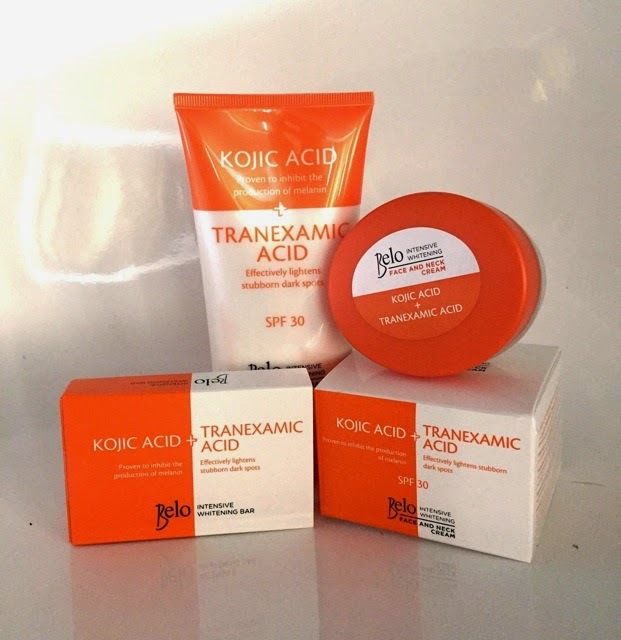 Kojic acid inhibits the production of melanin, which is what gives us our skin color. 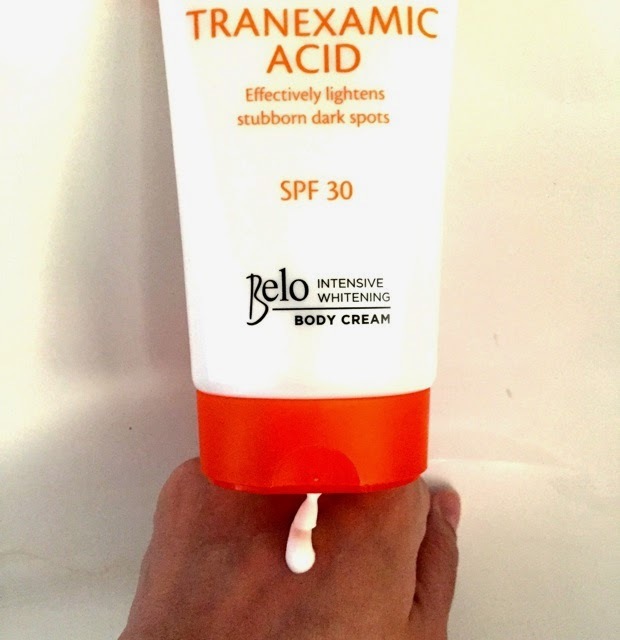 Tranexamic acid is also a melanin-inhibitor but it also takes care of skin damaged by the environment, like the sun and pollution. It’s also great for targeting stubborn dark areas like elbows, knees, kili-kili, singit, hehe! Haha, yes, sobra akong influenced ng mga commercials! Since I can't give a full review, I'll just tell you my progress so far. At first, my skin became dry from the soap, so buti na lang merong cream and lotion to combat the dryness. But after a week, the tightness went away and my skin now feels softer and smoother. Hooray! I didn't break out! My skin is very sensitive to new products so I'm glad I didn't react in a bad way. I actually even had two tiny pimples that dried up and died when I used the soap and face cream! I didn't feel stinging, and there was no peeling or redness. So this is gentle on skin. Well, I dunno. When I was reading about this on other blogs, the other bloggers experienced stinging. Maybe kasi matanda na ako at makapal na ang balat ko kaya ako hindi nakaramdam ng stinging? I'm actually okay that even after two weeks' use, walang sudden whiteness. Mga girls and boys, be wary of products that promise instant whitening. You're burning your skin off with dangerous products like that! The complete system. There's a soap, a face cream and body lotion. So pantay ang beauty everywhere! The smell. It's not unpleasant. It's actually sweet, like candy. But I don't like sweet smells. I'm a fan of fresh scents and floral scents. I looked at bloggers' reviews and they all LOVED the smell so this is totally subjective, okay? So this isn't a bad thing! The orange-ness. The foam is orange. I feel like that's unnecessary coloring. Maybe they should just take out the color. You have to use it twice a day. That means two showers, two applications of lotion. I'm a mom of three babies. I don't have the time! Have you tried out the Belo Intensive Whitening line? Tell me what you think! Like the Facebook page of Belo Essentials @BeloEssentials. Like the Topaz Horizon page, too! Share in the comments below why you want to win and then add your FB account name. That's it! So easy! Contest ends in a week. That's April 8, Wednesday. Good luck! Check out the Facebook page of Belo Essentials or follow @BeloKojic on Twitter to find out more. Congratulations to Celin Mendoza, Ronie Maranga, Mikai MA, Love del Rosario and Shierry Rose Mendoza! I have little notes for you in reply to your comments below! I have a typical morena Filipina skin. No doubt that it looks good. However, a little fairer skin won't harm as well. Me and husband rode in an L300 van (with no aircon) to and from our office. That is from Pque. to Ortigas. Our skin were overly exposed to sun everyday. My husband already has a fair skin however his left arm was visibly darker than the rest of his body due to driving. It is actually a little bit depressing. On my part, the effect on my skin was excessive dryness. What we do was to put lotion everyday to atleast hydrate our skin. Belo's Intensive Whitening line will be a great help in protecting our skin against the harmful UV rays of the sun most especially the body cream which has an spf 30. We could perfectly share it. In additon, belo's soap and face cream will not only give me a little glow but can also help me in minimizing the pimpli scars I got during my last pregnancy. Thanks and God Bless! Congrats! You won a set! I liked how you plan for it to be for you and hubby I suggest you slice the soap, though, kasi ang bili niya matunaw. Please send me a DM via my blog's Facebook page to claim your prize. Good day Ms. Frances! I wanted to win this Belo Intensive Whitening line for my wife. Her skin is not that fair and she has uneven skin tone. Now she has been searching for an effective whitening products that could help her achieve a fairer and young looking skin. She is already in her 40's now and we have 3 children and she wants to feel and look good and be as confident as before. I believe that Belo produces great and effective products. I want her to use and have this. Hope you could help me. Thank you so much! Have a nice day. Congrats! You won a set! I liked how you want it for your wife, who is just like me—with three kids and, well, I'll be 40 soon! And syempre because you said Belo makes great products. Belo will like that heehee Please send me a DM via my blog's Facebook page to claim your prize. I wanna try this because of 2 things - 1. I want to even out the colors of my face. I still have pimple marks from my years of acne battle and ang tagal nila mawala, it takes months! 2. Embarrassingly, for my underams.. :/ I wanna wear sleeveless top (short sleeve blouses) without being conscious of raising my arms! I want to win the Belo Intensive Whitening line because I want to try it for myself. Summer is the perfect time to enjoy the sun and for me to keep my skin in good complexion. Even though I am a guy, I need to take good care of my skin for me to look good inside and out. Congrats! You won a set! I liked how we're the same—mommy who needs help with fading acne scars and discoloration all over the body because of our pregnancies. And Happy Easter to you and your family, too! Please send me a DM via my blog's Facebook page to claim your prize. Congrats! You won a set! I liked how you really paid attention to its special ingredient. Sabi kasi ng Belo they really want people to know that tranexamic acid is what makes their soap better than the competition. Please send me a DM via my blog's Facebook page to claim your prize. I want to win to even out the dark spots on my face. 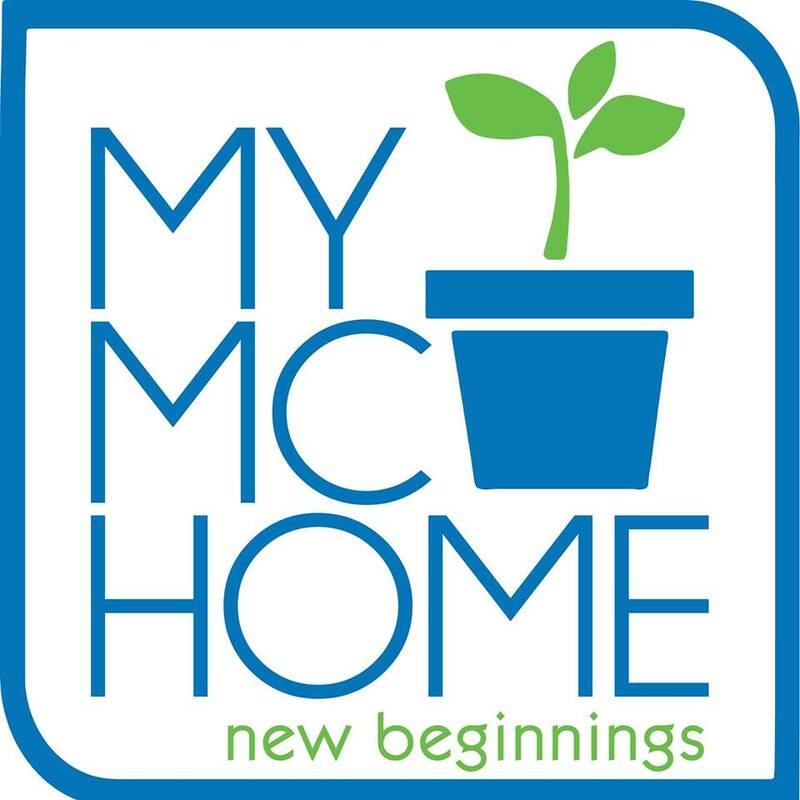 I am a breastfeeding mom like you and since you are using it, I believe that it will be safe for me to use it as well. I wanna try the Belo Intensive Whitening Body Lotion, face & neck cream. 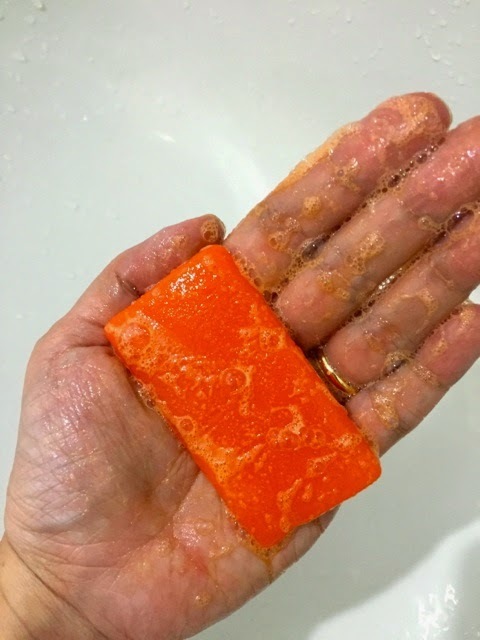 I already tried the soap and I liked it, Its far different from other Kojic Soap that I have tried. I want to win the Belo Intensive whitening line because, I feel really guilty in terms of Dark UA so that is why I really would like to give this product a try. 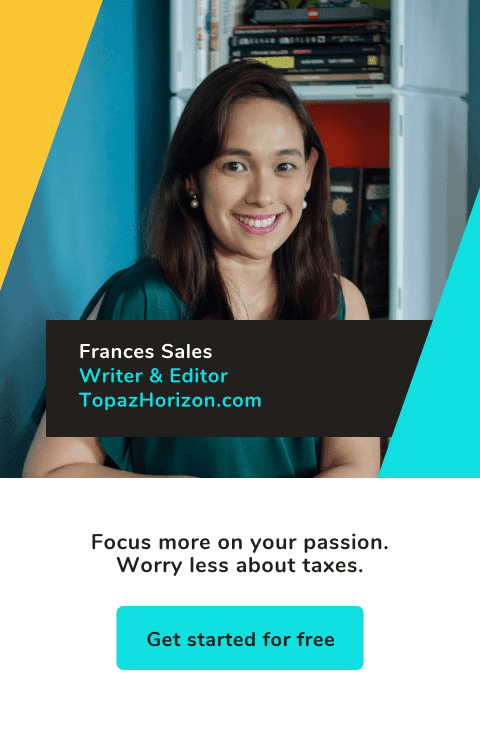 I am also an Online tutor so most of the time I am talking to my student through Video, I want to look fresh and maybe Prettier than usual,I do have dark spots on my face as well due to pimple that I wanted to get rid off..
God Bless on your Blog Mommy Frances. Hi! I hope I'd be given the chance to win this because I need it. I use lotions with spf on a daily basis as it is a necessity these days. My face has frecles and sunspots that I'd like to get rid of and this would be of help I suppose. Hoping I get to try it! Congrats! You won a set! I liked how honest you are when your number one reason for wanting this is because it's free haha. Please send me a DM via my blog's Facebook page to claim your prize. Hi Ms.Frances,I would love to try this new Belo Intensive Whitening,i wanna have lighter skin because it will boost my confidence by looking fresh and clean all the time. Hi Frances, I want to try Belo Intensive Whitening line to lighten up some parts of my legs. I have atopic dermatitis and I've been wearing pants and maxi dresses for many years because of my skin problem. Hope it will effective so I could wear shorts or skirts this summer. Thank you so much, everyone, for joining! Please know that whiter skin will not make you more beautiful. Pantay skin na soft and smooth and healthy, yes, but please don't ever believe na basta maputi, maganda, okay??? By the way, what is DM via my blog's Facebook page in your reply Ms. Frances? or is it PM? thanks again!